There is a total of 243 Assembly seats in Bihar and any alliance or party needs to win at least 122 seats to make next government. In the 2015 Bihar Assembly election, Bihar voters are confused because of changing political friendships. Last time, the parties which were fighting against each other are now on the same side. Here every political alliance and party is trying to win the votes of minorities and lower castes because of their decisive majority of many seats. BJP has added Jitendra Ram Manjhi to his alliance to attract the voters of the lower section. Both the alliance are making calculated moves to vow the voters so that they can vote for the party. In the 2010 Bihar Assembly election, BJP-JDU alliance won 206 seats with BJP winning 91 and JDU 115 seats. RJD showed its worst performance with 22 seats, though it has a considerable vote share of 19%. 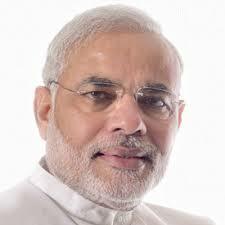 If we go by the Loksabha election 2014 results, then BJP alliance was ahead in more than 170 seats. However, Assembly may show a different picture because many partners have changed. The big difficulty for BJP is a move smoothly with the its regional partners who are demanding a good number of seats. These small political parties of BJP alliance like Rashtriya Lok Samata Party (RLSP) and the Hindustan Awam Morcha (HAM) will either help BJP or it may create problem for it. The same is true for Nitish Kumar, who has joined hands with his arch rival Lalu Yadav. The big worrying for BJP may be huge vote share of JDU-RJD-Congress combined in the 2014 Loksabha election which was around 50% when combined. If the JDU alliance succeeded in retaining this vote share, then it near to impossible for the BJP to win in Bihar. However, many things have changed since the 2014 Loksabha election and we are likely to see a shift in vote share and it is a real test for all political parties to attract a good vote share. In the past, a saw few option polls in Bihar and they are giving a mixed results. Some of them have given an edge to JDU-RJD-Congress alliance while others are giving the edge to BJP alliance. However, one thing is very similar in every opinion poll that the margin of winning alliance, just differ by 20 to 30 seats only. This means that a winning alliance will win around 130 seats and losing alliance 110 seats. 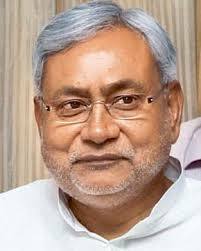 BJP is relying on the Karishma of Prime Minister Narendra Modi to work again in Bihar; therefore, it has not announced any CM candidate. 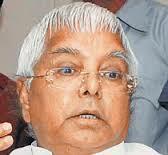 These elections will also test the RJD because a defeat in this election will push RJD very down. This means that the fight for Bihar is going to be very tough and a slight shift of a few percent of votes can make or break the fortunes of any political alliance. If I have to give my opinion, then JDU alliance has very narrow lead so far; though, it is very difficult to say anything because situations are changing daily.